Vertical fashion show, “The Masque”, dance shows and the chance to win 6,000 USD three times weekly! Beirut, Lebanon, April 5th 2013- Majid Al Futtaim Properties, the leading developer, owner and operator of shopping malls and complementary mixed-use projects in the MENA region, opened City Centre Beirut, its first mall in the Levant, on April 4, 2013. To mark this occasion, the new 60,000 square metre mall, located in Hazmieh, is hosting a 10-day musical and dance extravaganza to entertain the droves of visitors attending the first week of activities. The line-up of spectacular shows includes international dancers and musical performers, all topped off with an awe-inspiring ‘“Vertical Fashion Show’, performed for the first time ever in Lebanon. The array of shows kicks off with ‘The Masques’, an international super-group, credited for changing the face of classical music, comprised of musicians and a world-class vocalist. Fusing both sights and sounds, ‘The Masques’ showcases original and contemporary pieces, revolutionizing the classic Venetian Masquerade Ball in this century. The show continues with a diverse Choreography of Hip Hop and Street dance spectacle. The performances are fused with break dance and a variety of unique, energetic, and dynamic pop styles with a team of professional dancers, flying especially from London. Also, these sizzling performances are blended with classic Latin and ballroom dances, performed by 3 talented dance routines, and choreographed by Mike Poladian and Sandra Elia. And to entertain the kiddies, musical Stilt Walkers are parading throughout the Centre playing live music using a combination of various musical instruments, and interacting with the crowd. Fashionistas are invited next week end to witness an outstanding fashion show across multiple levels. This superb, “Vertical Fashion and Dance Production”, is being performed for the first time in Lebanon, and features the fashion retailers at City Centre Beirut on an impressive vertical stage. “This is just the beginning of a comprehensive line-up of exciting activities planned for the year. 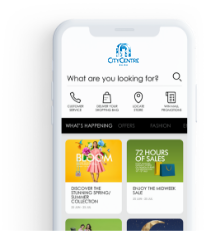 City Centre Beirut will continue to set new standards to cater to all the shopping and entertainment needs of our visitors, and we promise more surprises in the months to come,” said Mr. Sleiman Mallat, Senior Mall Manager at City Centre Beirut. City Centre Beirut’s customers are also in for a big surprise, with the specially-designed fashion promotion kicking off from April 11 to May 11, 2013, granting shoppers the chance to win 6,000 USD three times a week.